Sitting on Twitter, untouched after 29 months, is a tweet pointing to the contacts between Donald Trump’s campaign and Russian officials in the 2016 election. “Cooperation with Russia” could be read, at least in Donald Trump’s current PR attempt, as pursuit of better relations with Vladimir Putin. It is the reference to Maria Butina that adds espionage and a Russian attempt to infiltrate and influence the campaign. Last week Butina, officially a graduate student in Washington DC, was indicted by the Justice Department for spying, through attempts as an unregistered lobbyist to infiltrate organizations such as the National Rifle Association, with a view to influencing US politics and the 2016 election. She used social contacts and allegedly sexual favors to move up the political chain. 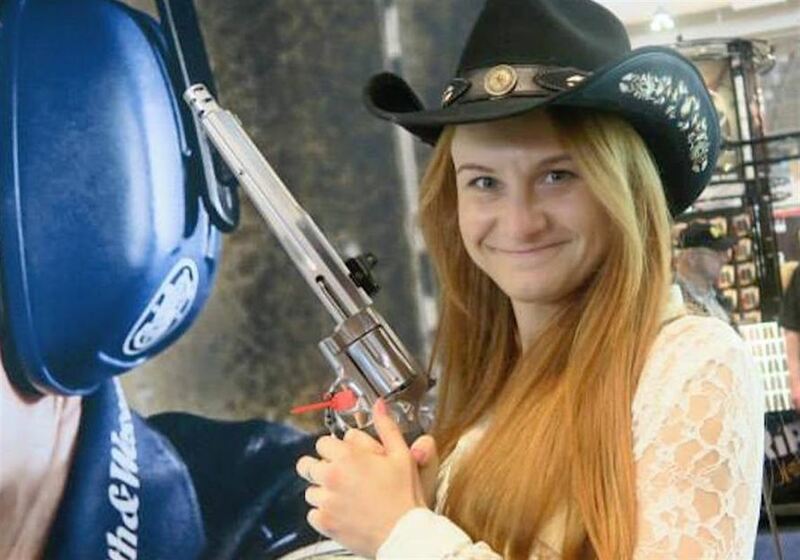 The indictment said Butina, who formed the NRA ally Right to Bear Arms in Russia, worked through a Republican activist from 2013 to get into the “gun rights organization”. By early 2015, she was seeking to use the NRA to get influence within the GOP, including backing of Presidential candidates. Initially, Butina appeared to focus on Wisconsin Governor Scott Walker, having her photograph taken with him, but then switched to Trump, beginning with a question to him at a press conference in July 2015. It was Torshin who gave weight from the Russian hierarchy to Butina’s efforts. A lifelong member of the NRA, he had followed her efforts since 2012. Three years later, he was joining her in arranging a Congressional delegation — including Dana Rohrabacher of California, a prominent supporter of Putin and the Kremlin — to Moscow. In the words of the indictment, Torshin was heading a “covert influence campaign [which] involved substantial planning, international coordination, and preparation”. 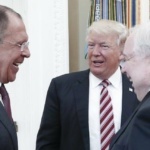 As Butina worked with another influential US contact to arrange dinners in New York and Washington to introduce Russians to American political figures, Torshin attended the National Prayer Breakfast in February 2016. Ten days later, he posted the tweet about the cooperation of “D. Trump”. Torshin never fulfilled his wish to meet Trump, but he did meet Donald Trump Jr. at the NRA annual convention in Kentucky in May, as Trump campaign advisor Rick Dearborn e-mailed that Russia was “quietly but actively seeking a dialogue with the US”. Butina, in the US on a student visa from summer 2016, was trying to arrange more dinners with prominent figures in Washington to prevent those looking for Russian expertise turning to the “currently popular ‘radically opposed to Russia’ crowd of experts”. Nor is she being accused of any involvement in the 2016 election. She was charged with a failure to register as a foreign agent, but the indictment makes clear that she is accused of spying within the organizations. Yes, she was arrested at this point because it would have been impossible to extradite her — as with the other 25 Russians indicted over the 2016 election — from Russia. Yes, her activities are connected with the 2016 election and the attempt to gain influence inside the Republican Party as well as the National Rifle Association. Yes I agree she was charged with failure to register as a foreign agent. She was not charged with spying, or charged with espionage. The indictments makes no mention of spying or stealing secrets. Nor are her activities are not connected with the 2016 elections, otherwise there would have been no reason for her to have hung around for a further 18 months. Had she registered as a foreign agent, her activities would be entirely legal. Her home was raided in May. They clearly found nothing.